STRESS REDUCER: Picking up mice can be the most stressful part of a test for the rodents and for researchers trying to avoid nips. “Mouse havens” let the animal hide and feel safe, while making transport between the testing apparatus and cage easy.JEAN-SEBASTIEN AUSTINMice and rats account for 95 percent of the vertebrates used in research. Mice occupy the preferred spot, largely due to our ever-improving ability to manipulate their genetics, as well as to their smaller size, superb breeding abilities, and docility. These animals are vital for work that cannot be done on humans, including investigating the brain’s complex functions, diseases, and disorders. Researchers have fine-tuned ways to screen for genetic glitches, measure hormone levels, and watch neurons fire, among countless other physiological processes. But studying mouse behavior remains something of a dark art. For one thing, mice—a prey species—are easily stressed. Earlier this year, Jeffery Mogil, a professor of behavioral neuroscience and a pain researcher at McGill University, and his colleagues confirmed a lab legend when they reported that the presence of male experimenters sends the animals’ cortisol levels soaring (Nat Methods, 11:629-32, 2014). Stress-hormone elevation can affect not just pain assays but other behavioral tests, as well as cells and tissue harvested for nonbehavioral experiments. But that isn’t the only hidden variable that can cause experimental differences. “The lab environment is most certainly filled with confounding factors,” Mogil says. “And we’ve been failing to take them seriously.” Then there are the tests themselves, which can be tricky to perform and interpret. 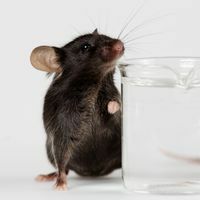 Ultimately, testing behaviors in mice is “conceptually simple but technically difficult,” says Jacqueline Crawley, a professor of psychiatry and behavioral sciences at the University of California, Davis, and author of What’s Wrong with My Mouse? Behavioral Phenotyping of Transgenic and Knockout Mice. Behavioral studies pose a particular challenge to researchers not trained in such work, such as cell biologists looking to connect molecular-level knowledge of a disorder to the behaviors that define it. For researchers taking their first steps into the realm of behavior, The Scientist sought out expert advice to guide you through the maze. Give mice some space. Don’t grab mice by the nape of the neck. Any poking or pinching can be avoided with a little creativity. Mogil builds cardboard and cloth contraptions that he calls “mouse havens,” just big enough that the mouse can stick its head inside and feel safe while the researcher scoops up the haven/mouse combo. The maneuver leaves the animal’s hind legs exposed so researchers can perform an injection. “It’s a little cave they’d rather be in,” Mogil says. “And their teeth are nowhere near your hand.” Richard Brown, a research professor of psychology and neuroscience at Dalhousie University in Halifax, Nova Scotia, uses empty single-serving yogurt cups to the same effect. Whereas researchers working with rats are advised to handle their animals every day to accustom them to human contact, that doesn’t work for mice. Rats will sit in your hand and become your friend, Brown says, but mice just get more stressed and jumpy. However, setting the mouse cages in the testing room itself (without running the test) will help them get accustomed to the environment through repeated exposure, says Mogil. Keep gender in mind. Because male experimenters can stress mice out more, it’s best to give the animals 30 minutes to calm down before testing, says Mogil, but that often isn’t possible. Also, changing the gender of experimenters mid-study can affect the results and should be avoided, or at least reported as a variable. The mouse’s gender matters too: female and male mice (and humans) respond differently to pain, stress, and a host of other conditions. Although researchers have traditionally avoided testing females at all, in October the U.S. National Institutes of Health began requiring the use of male and female mice in preclinical research. Seek out an expert. 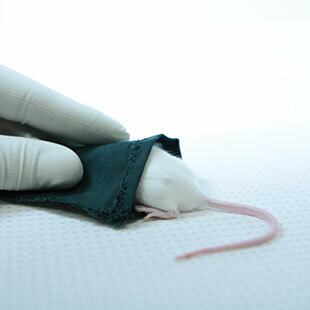 In doing your homework on the mouse strains and tests you will use, you’ll need to go beyond the published literature. “The question is: What is all the stuff you need to know that nobody tells you?” Brown says. He has written a book chapter that attempted to round up some of that information (Advances In the Study of Behavior, 41:255-366, 2010), but he also recommends talking to the most experienced person doing mouse behavior work at your institute. Other than general knowledge, they can likely share a host of tricks specific to the facilities you’ll use. 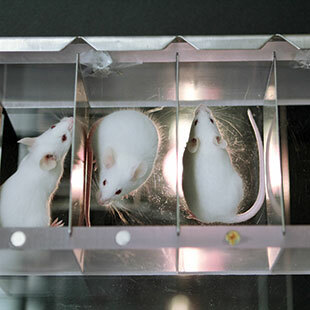 For example, if the mice are housed seven floors away from the behavior experiment room and along a hallway with bumps that rattle the cages, you’ll need to move the animals well in advance so they can calm down before testing. REMEMBER THIS? : Mice get a chance to investigate an object they’ve seen before and one that is new in the novel-object recognition test. Cognitively impaired mice might not remember the first object and treat both with equal levels of curiosity.AIMEE WONGResearch your suppliers. Despite breeding companies’ efforts to minimize genetic drift, decades of breeding means that the same inbred strains will have slight differences depending on where and when they were born. The result is variability on behavior tests even within a single strain, so researchers should make sure to stick with one supplier, says Crawley. Also, if you are building on another group’s work, note where they got their mice. Common US-based suppliers of research mice are the Jackson Laboratory, Taconic Biosciences, and Charles River Laboratories. Understand genetic background. All genetically modified mice are versions of a particular strain. The Jackson Laboratory has an online, interactive tutorial to help you learn what the numbers and letters in the strain names mean. Crawley also recommends browsing that institution’s Mouse Phenome Database, which details many traits in inbred strains of mice. One common strain in biomedical research, C57BL/6J, “is middle-of-the-road on most behavioral assays,” Crawley says. But it is one of the few strains that voluntarily consumes alcohol and nicotine, so it would be a good choice to detect differences in addiction behaviors. Conversely, you wouldn’t use a strain known for high levels of anxiety-like behavior to study the behavioral effects of mutating a gene implicated in anxiety. You can learn about those quirks in the published literature and the Jackson Laboratory database, but you’ll also need to observe the typical behaviors of your mice when you are not testing, says Stacey Sukoff Rizzo, associate director at the Mouse Neurobehavioral Phenotyping Facility at the Jackson Laboratory. 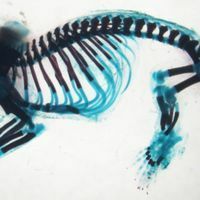 Knowing how often they typically stand up on their hind legs or what their activity level is, for instance, will help you determine whether this behavior changes during your assay. Know how your mice are housed. The light-and-dark cycle maintained by the housing facility will affect your mice’s behaviors. Mice are nocturnal and will perform better if you stick to the active, dark phase of that cycle. 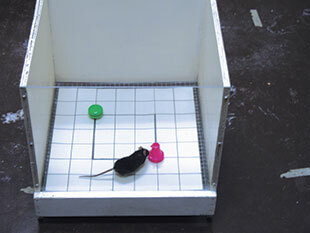 Ideally, you would also test under red light to mimic the dark phase, but mice use visual clues around the room in some maze tests, so that might not be possible. Also, time your experiments to avoid groggy mice that have just woken up or stressed mice that have just had their cages cleaned. Validate your own assay—or ask for the data. 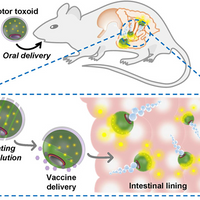 A validated assay is one in which the particular behavior to be investigated can be detected and reproduced under optimal conditions, Rizzo says. Any assay has a learning curve—not for the mouse, but for you. It takes weeks or months to figure out how best to put the mouse in the test apparatus, measure behavior, and clean between animals. If you are performing the test yourself, the validation process will give you a chance to make mistakes and correct them before the experiment starts, Brown says. That time will also help you understand exactly what the experiment is testing. “You think the mouse is only learning the thing you want it to, but it is learning all kinds of stuff,” he says. If the length of time you can devote to the study is limited, collaborate with someone who has the expertise. If you rely on someone else to run your assay, don’t believe it has been validated just because a published paper says it was. “How good their behavioral assays are needs to be constantly reevaluated,” Mogil says. Always ask to see data from the validation process to check that an evaluator is getting reliable results, especially in the case of core facilities, Rizzo says. “A lot of cores are supported by undergrads that come in on a semester basis,” she adds, and they might not be especially proficient at running the experiment. HOT PAW: The plantar test, or Hargreaves’ method, measures how quickly mice react to a mild heat source under the glass floor. Drugs that alleviate pain will let the mice tolerate the warmth longer before picking up their paw.JEAN-SEBASTIEN AUSTINMeasure the environment. Lights a touch too bright, the sound of a fan, footsteps in the hallway outside the testing room—all these factors can affect a mouse’s behavior. For example, bright light levels can make mice nervous and keep them from exploring a maze. “I find out what the environment is and keep it that way,” says Rizzo. She uses light and sound meters, as well as a tape measure to determine the exact dimensions of her equipment and compare it to those reported by others. Know your tracking system. 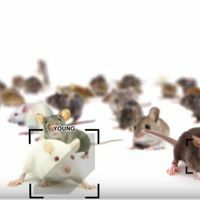 Automated tracking systems are a great way to get reliable behavior data for some assays and for monitoring spontaneous behaviors in the mouse’s home cage. If you use one, however, make sure you hand score a few runs to check that the system ‘sees’ what you consider important, Rizzo says. Can it reliably detect your mice in your test apparatus? (Not if you are using tan mice on a tan background.) Can it distinguish between relevant behaviors? (Few systems can reliably tell the difference between freezing in place and grooming or resting.) Some systems are geared toward specific tests. Study up to see if your tracking system has the sensitivity and features your assay requires. For a comparison of three widely-used home cage tracking systems, see J Neurosci Methods, 234:13-25, 2014. Use multiple tests. No single test accurately measures every aspect of a behavior. The brain is complex. “We still don’t understand exactly what component each test is measuring,” Rizzo says. Whether you are measuring the effect of physical changes in the hippocampus or the motor effects of cognitive decline, use at least two cognitive tests. Each test has its own pitfalls, as well as tricks for avoiding them. For example, if you drop your mice into the Morris water maze without being careful to keep their heads up, the animals’ natural dive reflex will send them to the bottom, Brown says. Don’t forget the estrous cycle. The mouse estrous cycle has four stages that repeat every four to five days, and with each stage comes a slight difference in behavior. Strive to test your female mice at the same time during their cycles, or at least record the stage and check for any behavior differences due to that variable. The different stages can be identified via vaginal smears or even visual inspection (PLOS ONE, doi:10.1371/journal.pone.0035538, 2012).